Discover the latest wireless products, applications for Broadband Wireless, 4G/LTE, Safe Cities, Smart Cities, Security and CCTV, case studies and inspiration from experts in the industry. 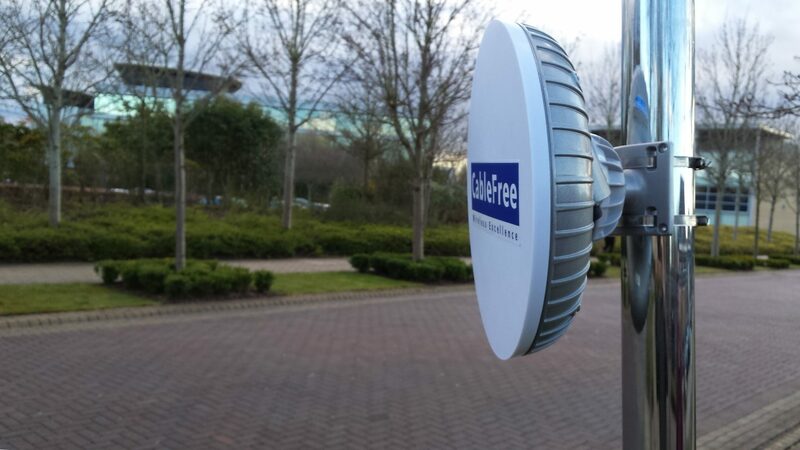 CableFree offer 4G/5G/LTE, 40 Gigabit Wireless Backhaul, CCTV, Voice, Data, Internet & much more! Find our the benefits of becoming a CableFree Partner – ask today! CableFree products are used in CCTV Security, Government, Defence, Oil & Gas, as well as Cellular Telecommunication Networks, Broadcast, Education and Disaster Recovery and installed in over 80 countries worldwide. We’d love to hear from you! Please reply to this email, or contact our team via Skype or Telephone to discuss your needs at any time.